Monika Sanghavi, left, Jennifer Lewey, center, and Marietta Ambrose, right. Editor’s note: To mark this month devoted to the heart, cardiology experts at Penn Medicine are writing a column each week in February exploring aspects of cardiovascular health. When one of our patients was on vacation recently, she had no time to think about the occasional aching in her chest that started in the early morning. She had to get everyone ready for the day’s hike. Healthy, active mom thought she was having a panic attack. Minutes later, her heart stopped. The pain disappeared when she rested for a minute, so she kept it to herself, not wanting to slow anyone down. When the pain became more frequent, she told herself that it was just indigestion. How could it be her heart? After all, she was only in her 40s and had a clean bill of health. When she finally went to the hospital that night, she was shocked to find out that she was in fact having a heart attack. The damage to her heart could have been stopped earlier if she had only listened to her symptoms. We see many such stories in our cardiology clinic. Some women experience a dull ache or vague discomfort, and assume that if it was their heart then the pain would feel different. Others weren’t aware of common symptoms that women experience, such as shortness of breath, or pain in the arms, jaw or back. Every time, we have to wonder: Why didn’t this woman seek help sooner? Women are more likely to call 911 if they think someone else is having a heart attack than they are for themselves. Thanks to outreach campaigns by the American Heart Association and other organizations, awareness of heart disease in women has increased substantially, though it still lags, especially among African American and Hispanic women. In 2019, heart disease remains the number-one cause of death in women. On average, women have heart attacks 10 years later than men. The risk of developing high cholesterol and high blood pressure begins to climb for many women after menopause. But the hormonal and genetic differences that protect many women early on can also, unfortunately, lead to unique heart problems. Women are more likely than men to have disease of the small blood vessels supplying the heart (microvascular disease), which is often more difficult to diagnose. Spontaneous coronary artery dissection (SCAD) – when a tear forms in a blood vessel in the heart – is an uncommon, but increasingly recognized, cause of heart attacks in young women, especially during and shortly after pregnancy. These conditions that affect women more than men are also more likely to be missed by doctors because of a historical lack of awareness and the underrepresentation of women in clinical trials. Clearly, more research on heart disease that preferentially impacts women is needed. A woman’s body undergoes many changes during pregnancy, some of which can lead to dangerous complications for both mother and baby. Preeclampsia, gestational diabetes, and preterm labor resolve postpartum. However, women with these conditions are actually at increased risk of developing heart disease later in life. That’s why a detailed pregnancy history should be part of a cardiovascular risk assessment for every woman. Improving heart health for women starts with the patient and includes involvement from the family, community, and health-care team. We must help women make time to lead a healthy lifestyle: to eat right, exercise, and maintain a healthy weight. We need to encourage women to pay attention to their health and discuss symptoms with their doctors. We need to help improve access to high-quality and affordable health care. And we also need to educate and train our colleagues and the next generation of nurses and doctors to recognize how the diagnosis and treatment of heart disease can be different in women than men. As we participate in the American Heart Association’s “Go Red for Women” campaign in February, we ask every person reading this article to take stock. Do you know the symptoms of heart disease? Have you talked to your doctor about how to stay healthy? Is your blood pressure under control? Do you have high cholesterol? Check in with the women around you and ask them the same questions. We hope that you will learn from our patient’s experience to listen to your body and act quickly -- for your own sake, and for everyone you care about. Jennifer Lewey, MD, is co-director of the Pregnancy and Heart Disease Program and Director of the Women’s Cardiovascular Center at Penn Medicine. 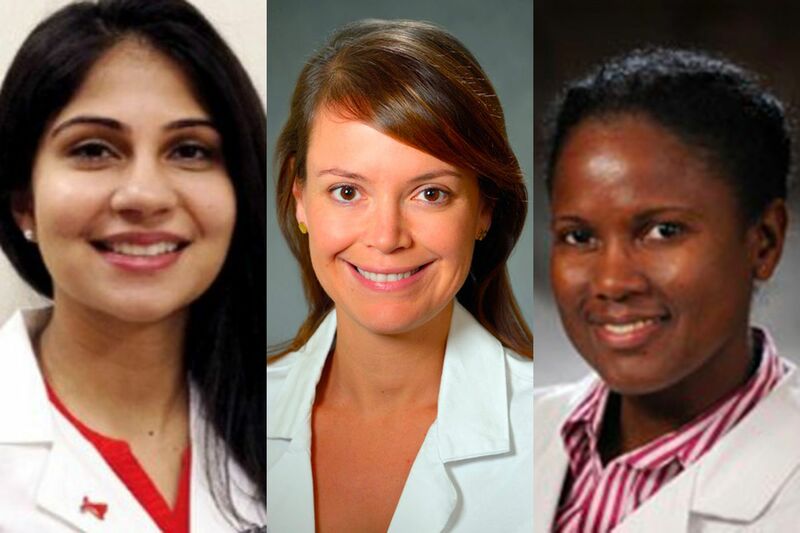 Monika Sanghavi, MD, and Marietta Ambrose, MD, MPH, FACC, are assistant professors of clinical cardiovascular medicine in the Perelman School of Medicine at the University of Pennsylvania.